China has made significant contributions in the field of medicine and cure. There are many remedies that originated in China and have proved to be of great help in healing people across the world. According to the people of China, there is a universal life force or energy called “chi kung” or “qi kung” that pervades the entire human body. The “chi” flows via unseen energy channels known as meridians. As long as the flow of chi is smooth and unobstructed, the individual remains fit and healthy. But the moment there are irregularities in the circulation of chi, health of the person receives a setback. So in order to remain healthy, consistency in the current of chi should be maintained. To have a sustainable flow of chi, Chinese medical philosophers devised several ways. Some of the best and eminent techniques are listed in this article. The flow of chi or chi kung can be systematized by pinching small needles in the human body at specific points. This treatment or technique was termed as acupuncture. The basic principle behind acupuncture is to open the blockages to have a constant flow of energy throughout the body. The acupuncture needles are meant to puncture or open the points known as acupuncture points. This treatment primarily affects the nervous system of the individual. It helps in secreting some crucial hormones and other chemicals that are not adequately produced but are required by the body. Many diseases like asthma, problems in vision, paralysis, alopecia etc. find acupuncture a satisfying and good remedy. The diseases might not be completely eliminated but they are definitely controlled through the Chinese developed acupuncture therapy. The best point of acupuncture is that it has no side-effects, its harmless to go for it. Chinese traditional herbal remedies are meant for hypertension and other cardiac problems. In case of hypertension a mixture of hawthorn, linden blossom, yarrow and valerian is given. The yarrow here is a diuretic while the rest act as relaxing agents. The hypertension with headache is treated with an additional wood betony while stress involves the usage of Siberian ginseng and skullcap. Arthritis and Inflammation also find a good treatment in Chinese herbs. Medicines like shosaikoto, sinomenium acutum and scutellaria baicalensis are found to be tremendously effective in this area. Chinese doctors have always emphasized the importance of exercise. They also worked out a special method or style of exercising. This method was named as ‘chi kung or qi kong’. Chi kung is deemed to bi-function as a fitness developing and enhancing scheme and also as a springboard for superior martial arts. 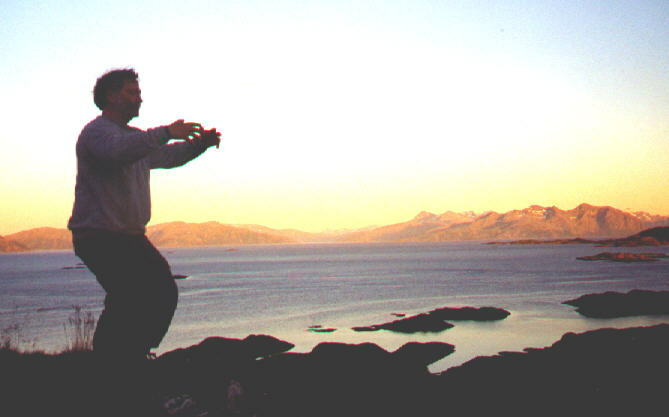 A set of chi kung exercises has acted as perfect medicine in many cases. The Chinese herbs have something to offer in case of common cold, flu, fever and influenza etc. Astragalus belongs to the pea family and is found to stabilize the immune system. Schisandra vine functions in multiple ways like in preventing diarrhea, cough, stress, aids in producing of fluids by the body. Echinacea is beat in averting cold or flu. It is a purple colored coneflower that stimulates the production of infection resistant white blood cells in the body. This however is not all. Chinese herb and other remedies like exercises have a record-breaking significance in human life. They have largely contributed to the maintenance of a perfect health. Mansi aggarwal writes about Chinese medicines . Learn more at http://www.chinesemedsbook.com.